"The senators on the contrary were so overjoyed, that they raced to fill the House, where they did not refrain from assailing the dead emperor with the most insulting and stinging kind of outcries. They even had ladders brought and his shields and images torn down before their eyes and dashed upon the ground; finally they passed a decree that his inscriptions should everywhere be erased, and all record of him obliterated." 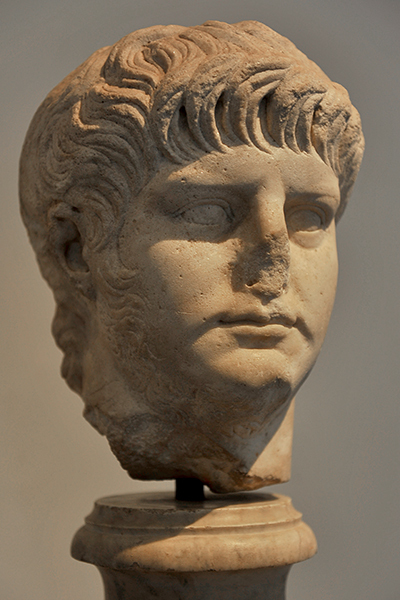 There are relatively few portraits of Nero, the consequence of his having been "pronounced a public enemy by the senate" (Suetonius, XLIX.2). Although not condemned to damnatio memoriae, many of his portrait busts nevertheless were recut to resemble later rulers, including Domitian, who was the first to suffer official damnation. 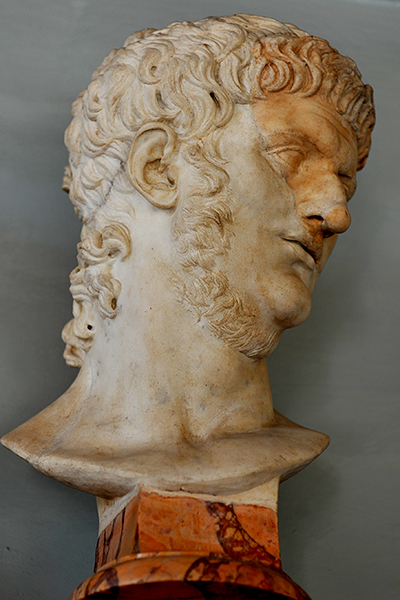 The most intriguing is the baroque bust in the Hall of Emperors (Palazzo Nuovo) in which a fragment of Domitian was extensively reworked in the seventeenth century to appear as Nero, as can be seen in the preserved reddish portion. 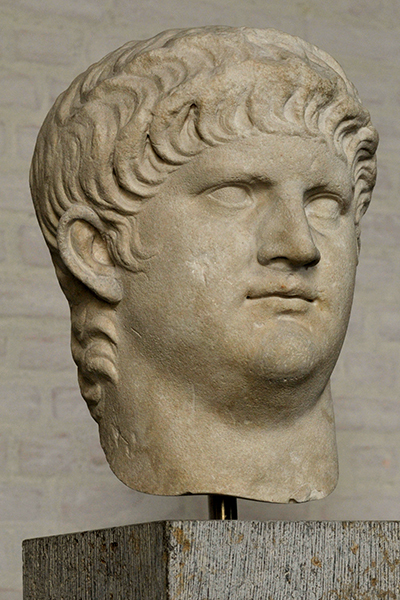 Sculptures of Nero also were fashioned to look like Domitian. From left to right, the busts are in the Römisch-Germanisches Museum (Cologne), Glyptothek (Munich), Palatine Museum (Rome), and Capitoline Museums (Rome). 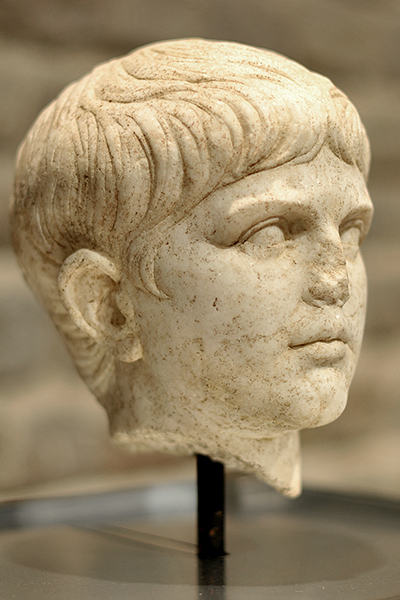 References: "The Portraits of Nero" (1975) by Ulrich W. Hiesinger, American Journal of Archaeology, 79(2), 113-124; "Damnatio Memoriae in Stone: Two Portraits of Nero Recut to Vespasian in American Museums" (1984) by John Pollini, American Journal of Archaeology, 88(4), 547-555; Mutilation and Transformation, Damnatio Memoriae and Roman Imperial Portraiture (2004) by Eric R. Varner.